How do I install the frame on my EO2? First (step 1), lay your display into the frame. Next (step 2), push the bottom of the display forward. 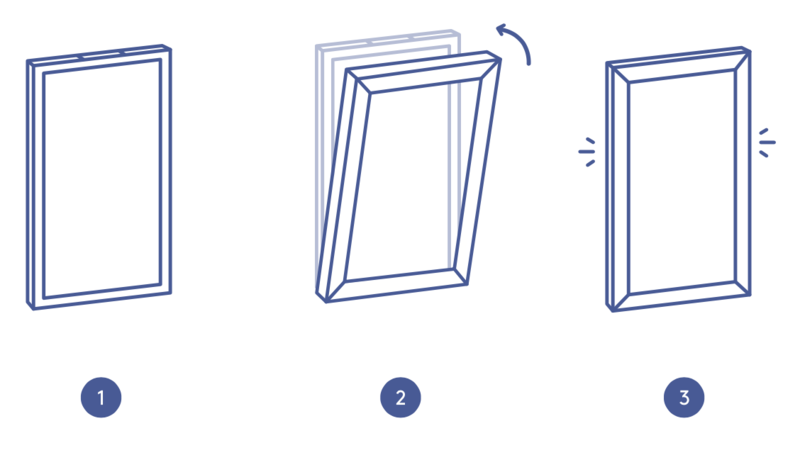 Lastly (step 3), push the top part of the display into the frame while lifting both the display and frame up.